The Tenerife Cabildo have placed a temporary ban on barbeques at the recreational bbq/picnic areas in the forested areas, due to the high risk of fire. The ban also extends to the lighting of fireworks and burning of agricultural waste. Temperatures are soaring above 30C. The measures will stay in place until further notice. 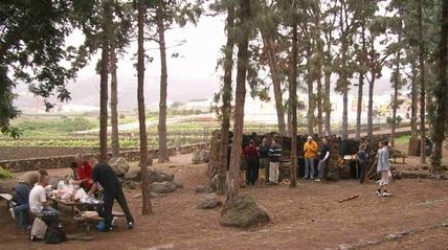 Teams of workers have been dispatched to seal the public barbecue areas in and around the forests, which ring the island’s Mt.Teide, in particular in the Anaga and Teno national parks. The Cabildo have also requested that people should, when driving, avoid travelling to the mountains, stay on main roads that are tarred, and avoid forest tracks, and in general take extra care in wooded areas.